It’s always fun to see what new trends in the world of tile take off year after year. Each year, they keep getting better and better, and the 2015 tile trends for kitchens and bathrooms have us jumping for joy. 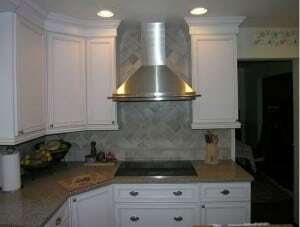 Custom tile backsplashes are quite popular. Mosaics are leading the way and are being put together from specialty shaped tiles that are creating truly one-of-a-kind masterpieces. Neutral tones are also gaining popularity. Grey and beige are the most prevalent and create a muted background within the kitchen that fosters a natural contrast. The result is kitchens and bathrooms that feel more relaxed and inviting. Finally, textures are top choices. From raw finished stone to manufactured flaws, the idea is to bring the kitchen and bathroom closer to nature. While not ideal for countertops and flooring, it works very well when used as a backdrop or along the sides of cabinets and islands within the room. Our staff would be glad to discuss these 2015 tile trends for kitchens and bathrooms with you. We invite you to contact us at Conestoga Tile for more information about choosing the best backsplash for your kitchen or bathroom.